Black Women in Computing celebrated it’s 3rd annual Luncheon event at the Grace Hopper Celebration for Women in Computing. 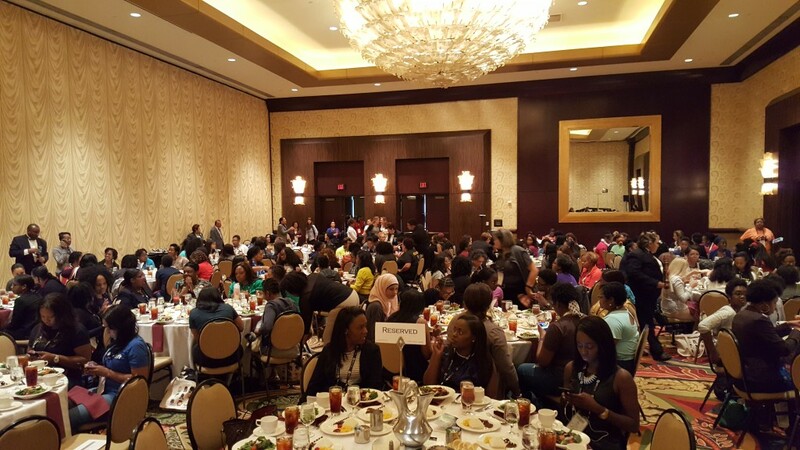 The luncheon was filled to capacity with over 200 Black women in attendance. Jacky Wright, Senior Executive and Vice President of IT at Microsoft introduced Shawndra Hill, Senior Researcher at Microsoft Research NYC, who shared stories of her experiences in STEM and gave an inspiring speech on persevering and being visible. Attendees engaged in a neworking activity titled “A letter to my sister” where each woman wrote words of encouragement on beautiful custom cards designed specifically for this event by Michael Pittman. Dr. Jamika Burge closed out the program with an announcement of things to come from the Research Coalition for Black Women & Girls in Computing. Special thanks to Microsoft for sponsoring the luncheon and the BWiC Pathways to STEM Gaming Workshop the following day.